Ahoy there me hearties.... Climb aboard and set sail. 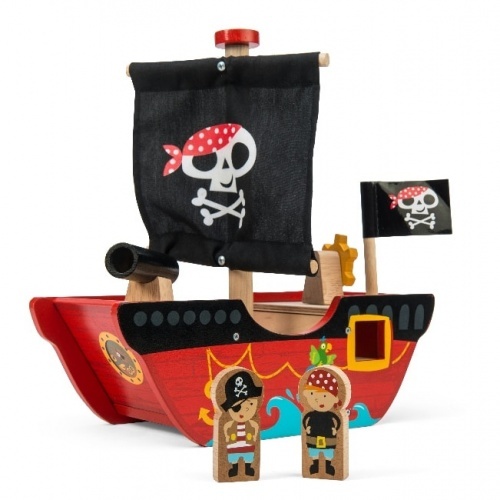 For any wannabe pirate the Barbarossa pirate ship is the perfect wooden toy. A classic, black painted wooden pirate ship adorned with the skull and crossed swords. Features 3 fabric sails, working deck cannon with 2 cannon balls, crow's nest, opening stern, retractable anchor, rotating steering wheel, removable cargo hatch and removable walk the plank.